Call of Duty: Advanced Warfare – Zero Day Launch Event at Destiny Games! See first impressions of gamers going hands on with Call of Duty: Advanced Warfare during the Zero Day Launch Event at Destiny Games! Jon is having a down week. Jump through windows with your magic latex gloves! Steve’s Drink of the Week from the BadgerCon 2014 episode of Sanity Claws Radio! Lagers are beers that are fermented and conditioned at low (cold) temperatures. This is in contrast to their sister, ales, which are beers that are fermented and conditioned at higher (hot) temperatures. That is the basic fundamental difference between lagers and ales, and the resulting lager tends to taste smoother with less carbonation across the tongue. Phuket Lager – Made in Thailand by Phuket Brewing and named for an island in the Indian Ocean, Steve purchased this beer because he thought the name was funny. Brewed with Jasmine rice, Phuket checks in with an ABV of 5%. HELLS YES! 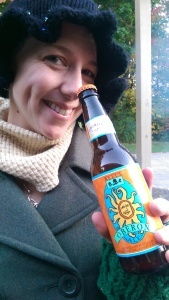 – This offering from OddSide Ales is a fine example of a Helles (or Munich) German style lager. This lends a slightly malty Munich flavor (like in Spaten or Hofbrau’s Oktoberfest beers). Not too shabby. ABV – 4.5%. Radler – A radler is the German style of beer that spawned the all-too-popular-in-the-States summer beer style known as the shandy. A true radler is a 50:50 mix of lager and lemonade and is widely enjoyed throughout Bavarian countries as a summer thirst quencher! Mai Bock – Brewed in the German tradition is good ole Detroit, Atwater Brewing’s Mai Bock (or spring beer – see commonly; “maibock”), is a traditional spring seasonal lager. Made in the same style as a helles, this maibock checks in at 7.0% ABV. 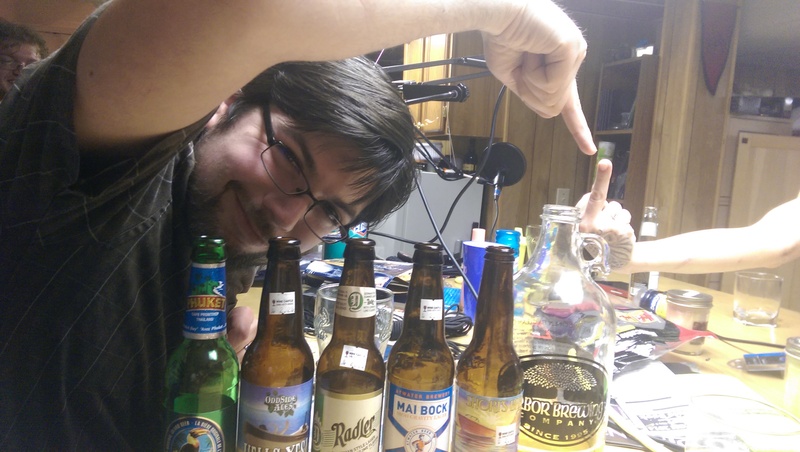 PT78 – Steve’s blind taste test and a jerk way to get everyone at the table to drink Bud Light Platinum. To all of our credit, without knowing what this beer was, we all agreed that it was possibly the worst thing we’d ever consumed. Slante. Scotty’s Drink of the Week from BadgerCon 2014! Strongbow – This cider represents a more traditional, dry approach to hard apple cider. This English style cider balances crispness with a subtle sweetness. A tasty harvest-time treat, Strongbow checks in at an ABV of 5%. Woodchuck Hard Cider – This cider is as Americanized as it gets. The balance of English style ciders is cast aside for a sugary blast of extreme sweetness. Woodchuck represents the American style cider, which is to say it is very, very sweet. This is not an indictment of very sweet ciders, just a word of warning: Approach with caution. ABV – 5%. The Anvil – The Anvil is the hard apple cider from Sonoma Bourbon Ciders. The bourbon barrel casking of this cider lends a dry, white wine-like quality to this new-to-market beverage. A rather nice surprise to have stumbled upon, The Anvil checks in at 6% ABV and is USDA Certified Organic! Hard Pumpkin Cider – ACE Brewing out of California offers up this unique gourd cider. Frankly, it just sounded interesting to us. But honestly, it tasted like cold vomit. Thanks to a mid-show recommendation, we tried mixing this with spiced rum. A brief trip to the microwave later, we were rather enjoying what Steve termed, “Hangover Juice.” ABV – 5%. 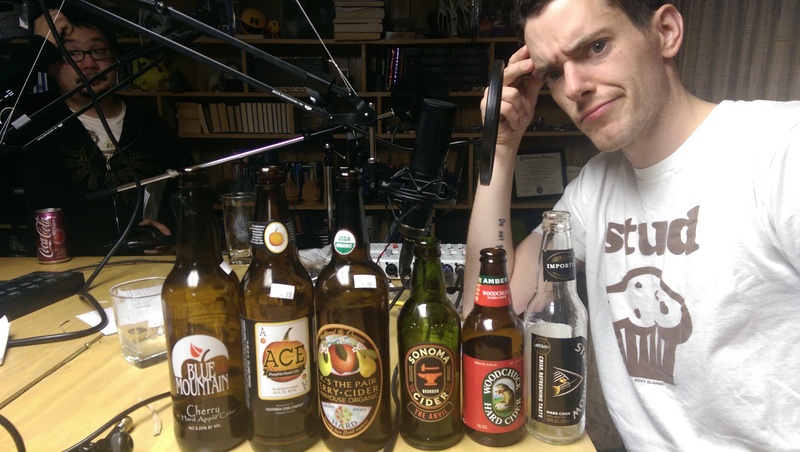 Scotty’s Drink of the Week from the Freemium Games episode of Sanity Claws Radio! F*** it! This is the take we’re using!